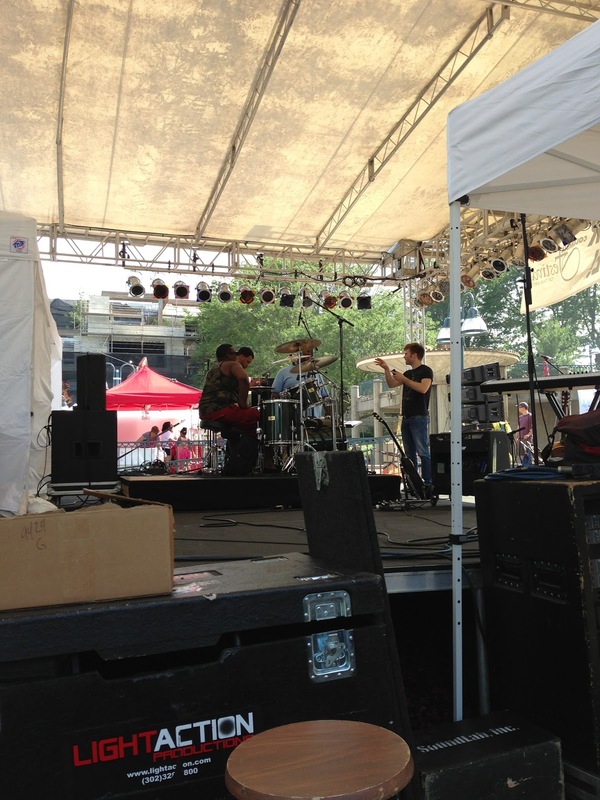 The weekend started off with Amos having to play keys for his friend, Kenny Kolhaas at the Arts Festival in Columbia, MD. It was a beautiful day, just a little too hot for me to sit out on the grass with the people who had come to hang out and hear some good music. I parked it backstage and listened to the 75 min set while eating fries and a large sweet tea. 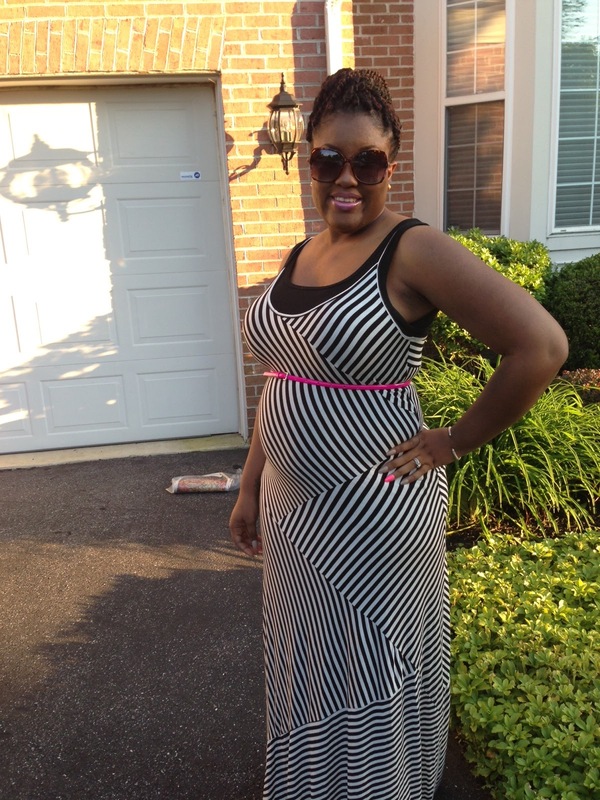 Then we headed to my mom’s Maryland house to change our clothes and head to a birthday party for my good friend Erica’s 35th birthday. The attire was black and white- so I had to make a quick dash to find something that I could fit and that was black and white because one thing about me: its rare that I buy black or white clothing. Its so boring to me. You can even get the chance to see the little belly starting to show at 14 weeks- must’ve been some good fries. I swear my belly only looks big after I eat. When we planned our Wedding, it was convenient that our Anniversary was a month before our Birthdays because we didn’t want to have to get each other so many gifts towards the end of the year. Little did we remember that when we have children, not only do you have the expense of a new child, but you gain two new holidays that you are supposed to spend money on: Mother’s Day and Father’s Day. Mother’s Day was spent celebrating with my mother because its also a few weeks before her birthday. This Father’s Day was the last pre-baby Father’s Day we had, so I wanted to make it special for Amos. 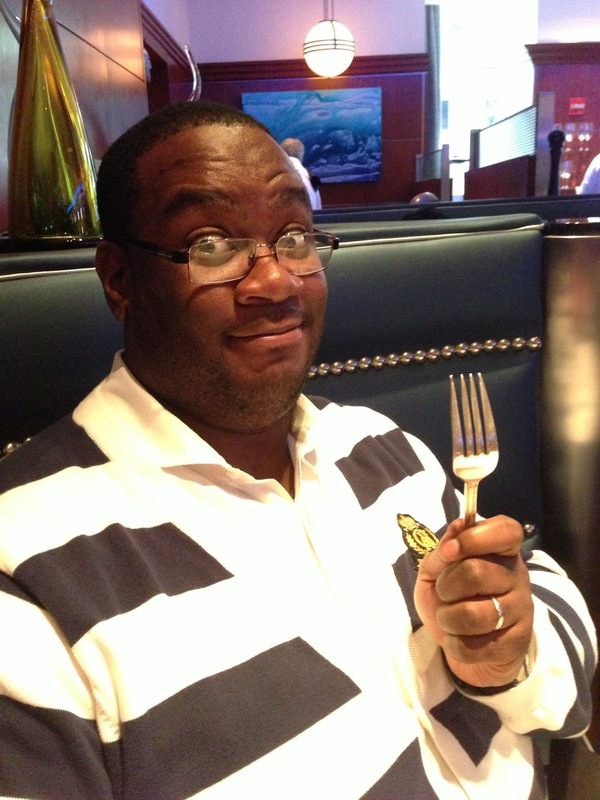 So I took him to The Oceanaire Seafood Room in Downtown, DC. The food was amazing! as you can see written all over my goofy husbands face. To end the evening, we ordered Baked Alaska, but only because I had just seen a special on the food network explaining how this dish was created: it was made by this chef in order to celebrate the United States’ purchase of Alaska. Its a Brownie that is topped with Ice Cream and then covered in Meringue which serves as an insulator when they bake it. 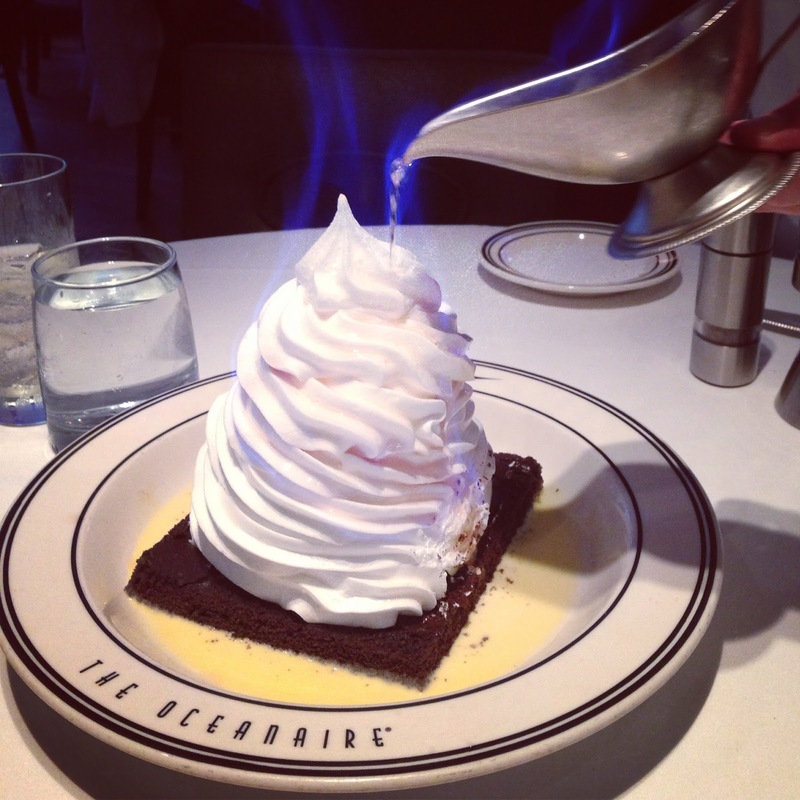 Except at The Oceanaire, they pour flaming liquer all over the Meringue and thats what “Bakes” the Baked Alaska. It was so cool to watch your dessert be lit on fire right at your table – it definitely got the attention of the people sitting around us. I was like a kid in a candy store. I even told the waiter the little history lesson about the dessert and he told me, “thats funny because Ms. Sarah Palin was in here last night and she ordered the Baked Alaska as well.” go figure. These days we sit around and day dream about what this time next year will be like. We still go out to late movies (we went to Superman and didn’t get out until 1am. I had to tell Amos that it would be the LAST late movie this pregnancy, so do not ask) and dinners with just the two of us – and then we decided that we would do one nice thing that we can do as a couple once a month for the two of us, leading up to baby. First thing on my list is massages for the both of us! Afterall, this time next year we will have a 6 month old with us at the dinner table trying to figure out when we can go eat while baby is sleeping. We have an oceanaire in SD as well! That dessert looks amazing. You look really cute with your little bump. U look AMAZING!!!! Where did u get that dress? I need it!!! And I love the pink belt too! U look gorgeous!